Kylie Jenner’s little one is growing up fast. Kylie Jenner’s toddler, Stormi, was strutting her stuff with dad Travis Scott. 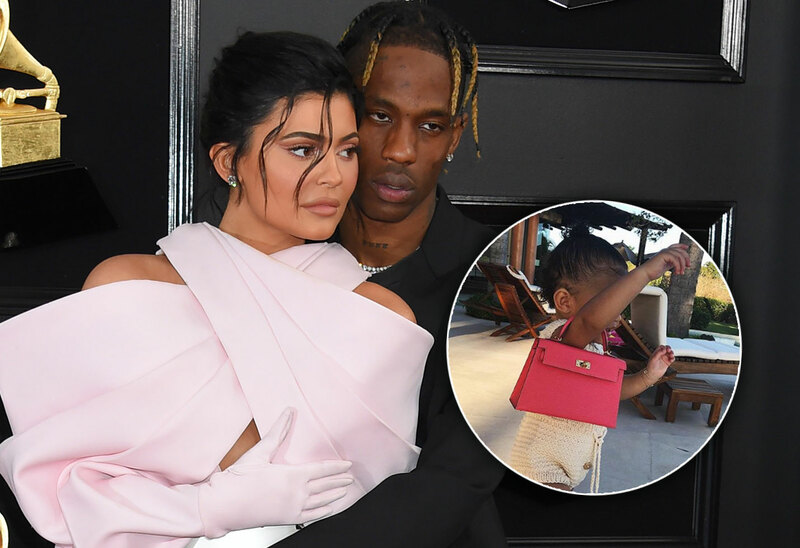 In a video Kylie shared, the baby carries a tiny pink purse and practices walking with the rapper. Click through the gallery for all the info and to see the super cute clip. Kylie, 21, shared a photo of her daughter on April 1, the same day Stormi turned 14 months old. In it, the toddler wears a crochet romper and carries a pink purse over her arm. Then, the Kylie Cosmetics mogul shared a video of her daughter walking down the stairs with the pink bag and her dad’s help. “She won’t let go of that purse 👛 😫,” Kylie wrote in the caption. In the clip, Stormi holds hands with Travis, 27. He follows after he as she walks around. Kylie shared videos of Stormi playing with a makeup brush on her Instagram Story. Between modeling and selling cosmetics, it seems the tot is ready to follow in her mom’s shoes soon! This wasn’t the little one’s first foray into modeling with a purse. For Christmas, Aunt Kim Kardashian got her a little Louis Vuitton bag, which she expertly posed with. What do you think of Stormi’s purse grab? Sound off in the comments!